The AccuTrak is the first ever “truly modular” steerable scanner which offers both 2 or 3 axis versions and has the ability to scan just about any contoured ferrous surface. 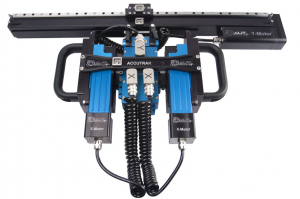 AUT Solutions was the first in the industry to design and manufacture modular style scanners to make repairs and modifications in the field easy and low cost to the customer. The AccuTrak is our latest tank crawler and from this design concept that adds more flexibility than standard fixed wheels scanners as this scanner is steerable using a small hand held joystick or even your computer mouse. 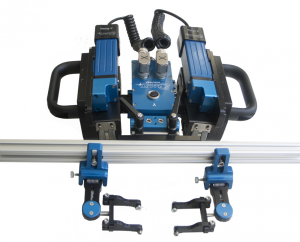 The AccuTrak truck assemblies rotate in multi-axis’ to allow near perfect wheel contact to a flat or curved surface using its two powerful X-axis drive motors and magnetic wheels to help propel the scanner and umbilical vertically with little load, even when crossing over weld seam. 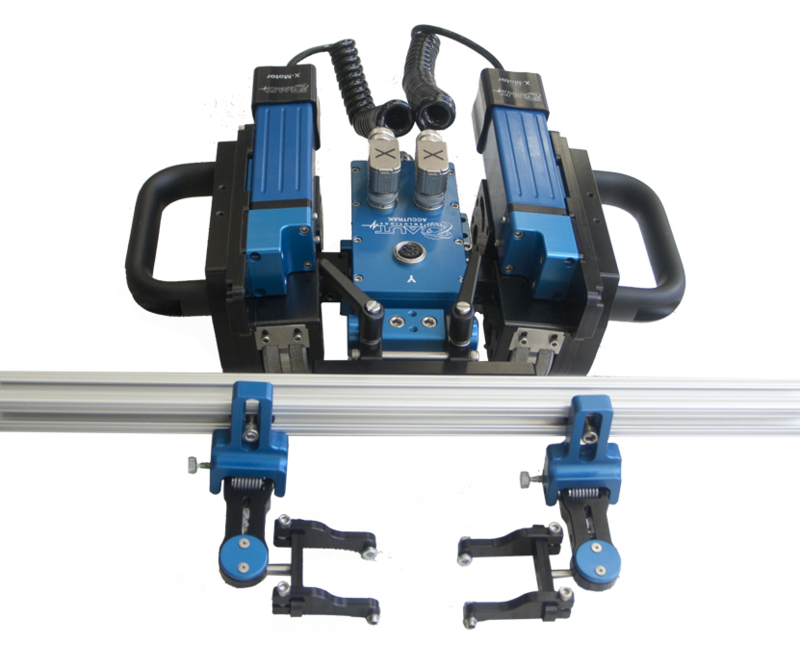 The truck assembly can be locked into place for conventional 2-axis style scanning or can be unlocked to allow the scanner to become steerable on curved surfaces which is well suited for remote access corrosion mapping or weld inspection utilizing pulse echo, phased array or TOFD technologies. The AccuTrak comes standard as a 3 axis scanner, but the 3-axis arm can be removed to perform simple line or weld scans. The AccuTrak scanning system can be provided with many options, such as multi-probe weld inspection, a battery powered green laser line for weld tracking which can be visible in almost any light condition, and also a camera for weld tracking purposes. 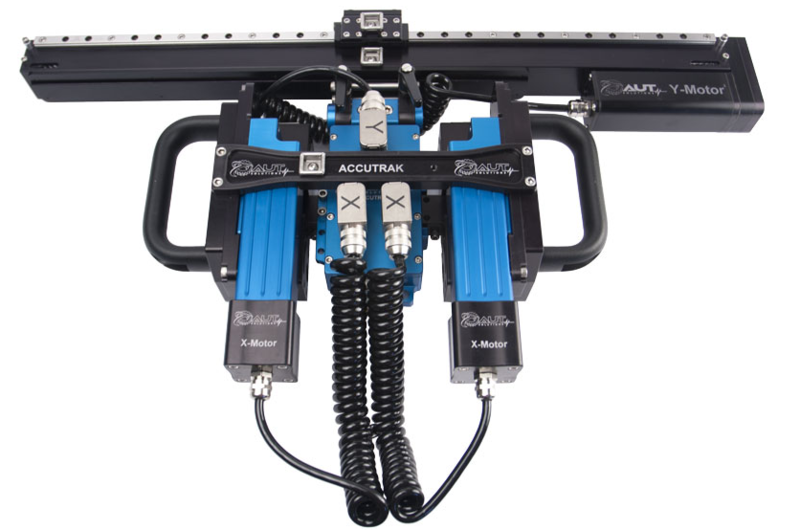 The AccuTrak is also capable of perform automated weld tracking utilizing a patent pending technology by AUT Solutions to automatically track the scanner to the center line of a weld thus the use of heavy and awkward tracks are a thing of the past.